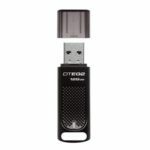 Kingston DataTraveler Elite G2 is a stylish flash drive with enough capacity to transfer movies, pictures, and work files wherever you go. 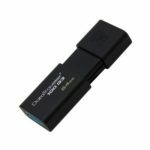 This drive is compliant with the USB 3.1 Gen 1 (USB 3.0) specification and delivers incredible performance to save time when transferring videos, photos and other large files. The metal casing is shock and water resistant so you can be confident bringing your data with you. 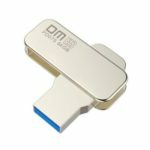 DTEG2 flash drive is compliant with the USB 3.1 Gen1 (USB 3.0) specification and delivers incredible performance to save time when transferring videos, photos and other large files. 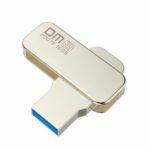 USB 3.1 high speed performance for speed up to 180MB/s write and 70MB/s read, no longer waiting for content-rich file to transfer. Let you know when your device is active. Light in weight and compact in size, designed with a key ring hole, easily fit into your pocket or backpack, convenient for carrying around. Durable zinc alloy die-cast metal casing is shock and water resistant, ideal for taking data on the go. Kingston DTEG2 is backed by a five-year warranty, free technical support and legendary Kingston reliability.